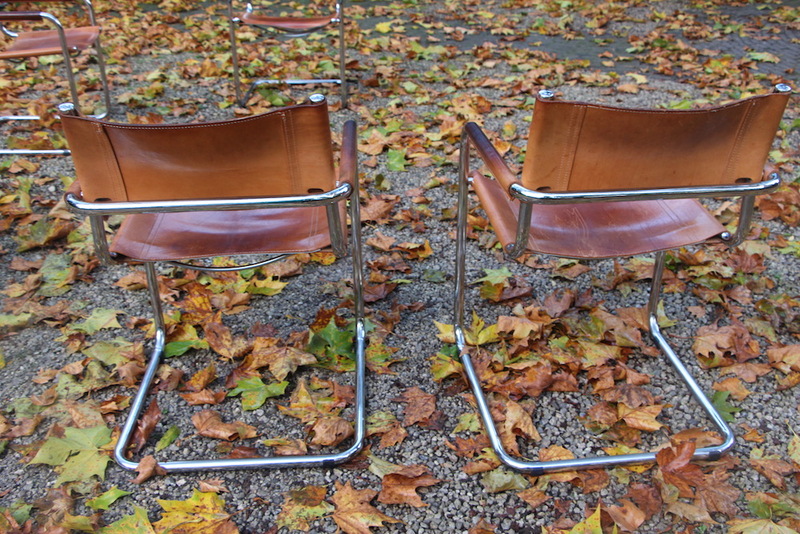 Beautiful Mart Stam (Dutch designer 1899-1986) chairs for Fasem. 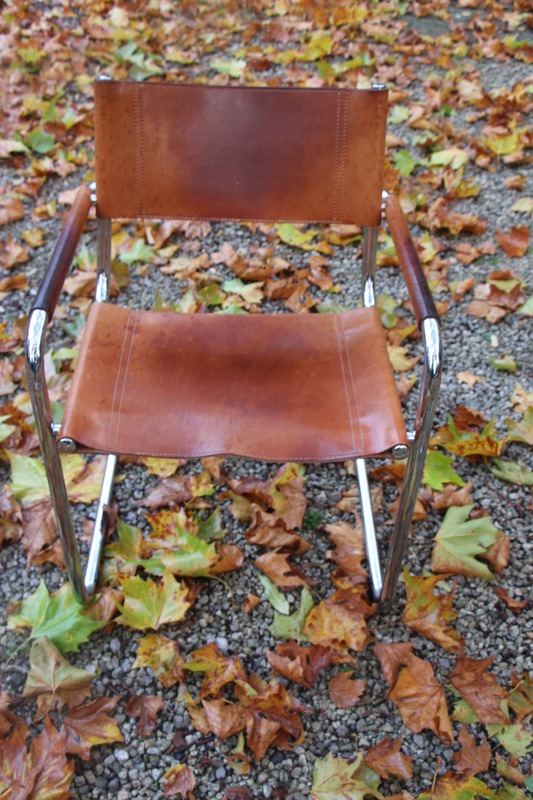 Stam invented the cantilever chair during the twenties. 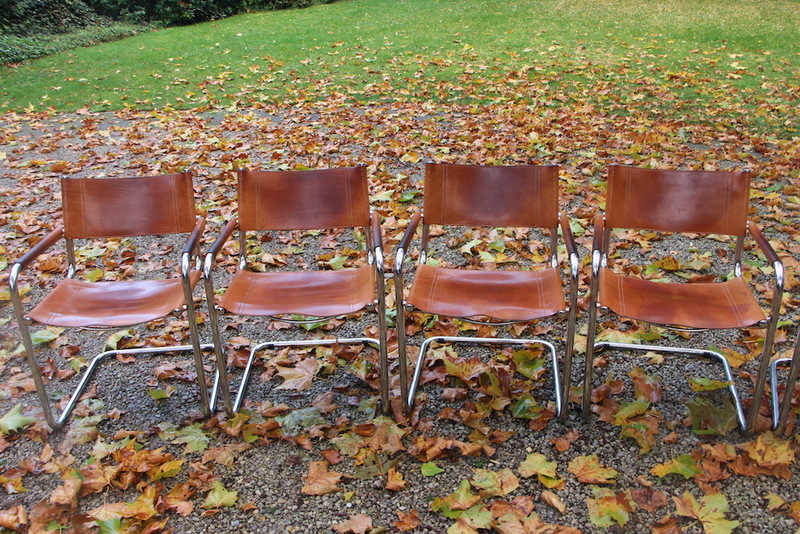 Long story short : Marcel Breuer and Ludwig Mies van der Rohe saw Mart Stam's work and got inspired and designed a whole series of cantilever chairs. 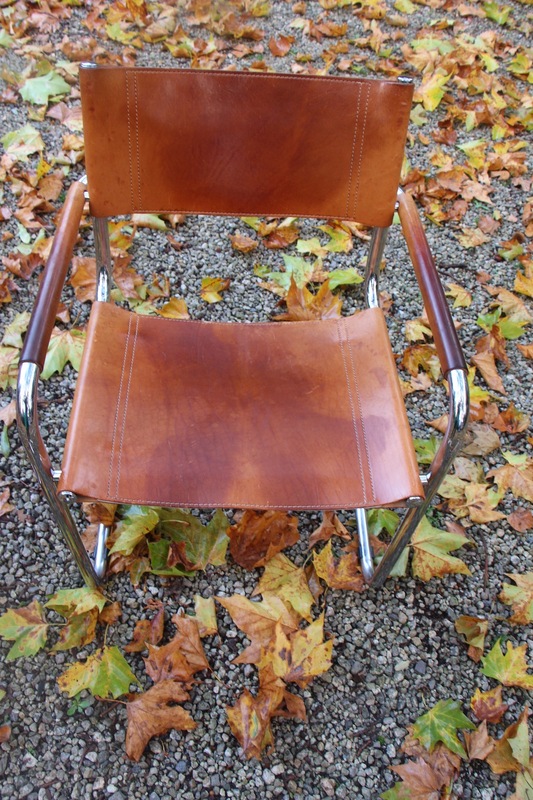 There has been a trial between Marcel Breuer (from Bauhaus) and Mart Stam on the origin of the invention of the cantilver chairs. Mart Stam won the trial. The Fasem logo is engraved in the leather underneath each chair. 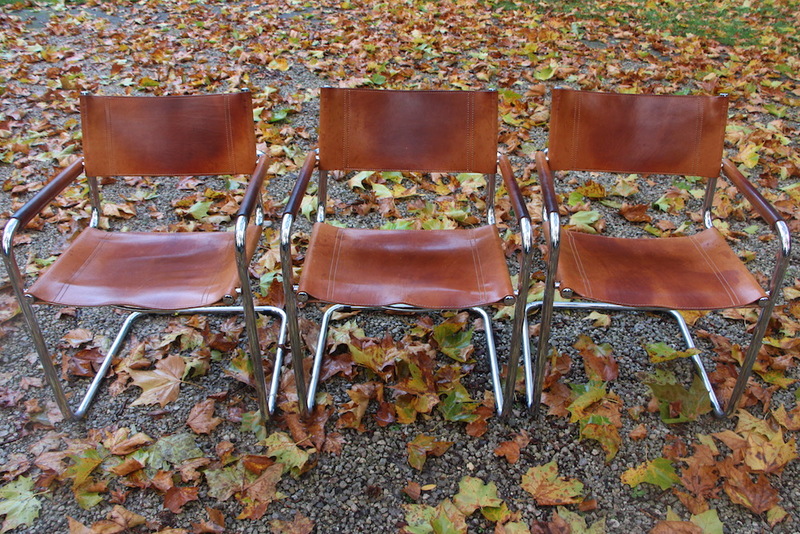 These chairs are extremely comfortable because the steel frame enables you to balance slightly. My favourite chair since long. I love the strong personality and the leather which is just great. They should be put in a living room or in front of a desk if you have visitors or in a waiting room if you're a dentist or whoever you are but if you have taste for beautiful items! They are too low to put around a dining table, except if yours is very low. You can also use them for playing cards, I always come back with this idea, it must be because with age, I like cards more and more. And maybe the atmosphere that goes with cards : friends, quality time, a glass of good something, friendship and a fire in the chimney.